Explore the world both near and far through our Art Escapes travel program. 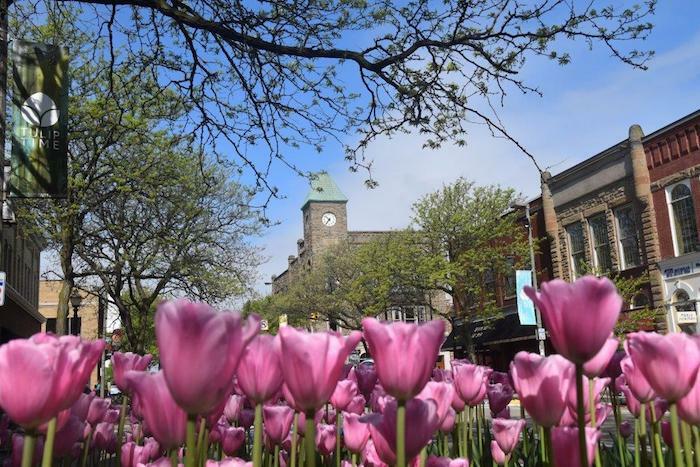 Join CMA’s Chief Curator David Stark along with Art Escapes hosts Barb Byrum and Nancy Turner to visit the 90th Tulip Time festival in Holland Michigan—one of the top five tulip festivals in the world. You will see acres of tulips and discover the rich Dutch heritage and culture in southwestern Michigan. In addition to tulips, wooden shoes, and Delft pottery, we will visit the Frederik Meijer Gardens and Sculpture Park in Grand Rapids, one of the nation’s premier horticultural display gardens and sculpture parks. We will also enjoy a curator’s tour of the Holland Museum, which features artworks and historical objects from the Netherlands from the 1600s through the 1900s. Holland, Michigan is also known for furniture design. A highlight of this eclectic trip is a tour of the Design Yard, Herman Miller’s corporate headquarters—a vibrant, creative hub that serves as the heart of the company’s design, marketing, and executive offices; the Eames/De Pree house, one of three homes designed by Charles Eames that remains extant; and the Herman Miller design archives which is home to a collection of vintage furniture, textiles, advertisements, design drawings, posters and photography that vividly documents the company’s 113 year history. This Art Escape is open to Museum members and costs $1,175 for double occupancy and $1,425 for single occupancy. The fee includes your round-trip motor coach transportation, two nights at the Courtyard by Marriott in downtown Holland, admission to all attractions, and much more. For details click here. The deadline to register has been extended to April 1. Your payment in full constitutes your reservation. There will be no refunds unless Art Escapes cancels the trip. *The North Sea Cruise deadline has been extended, however only a few spaces remain. Some of the world’s most revered art and architecture lies on the short stretch of coastline between the Baltic Sea and the mouth of the Seine River—a tucked-away corner of Europe that has experienced a prosperity and influence disproportionate to its diminutive size. 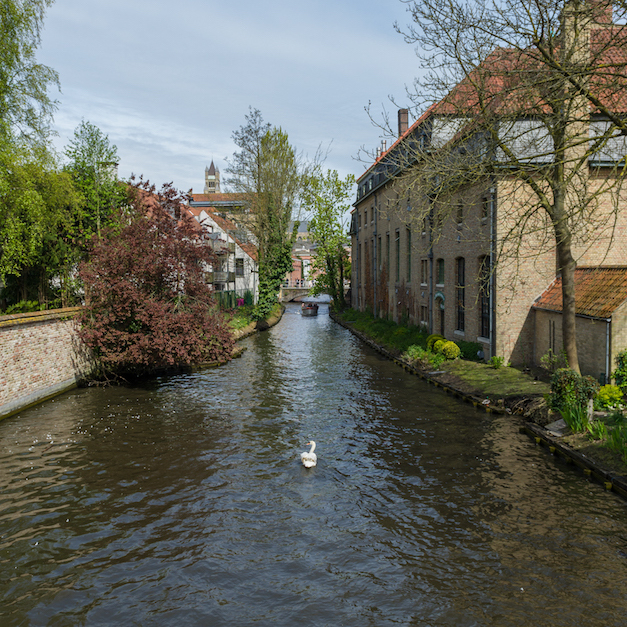 The Netherlands and Belgium were at the center of world commerce in the 17th century, and the wealth that accumulated in these countries led to what historian Simon Schama called “an embarrassment of riches.” Join CMA Executive Director Nannette V. Maciejunes on a leisurely cruise that celebrates this golden age and its superb artistic legacy. In the space of nine days, you’ll visit some of the world’s best museums. 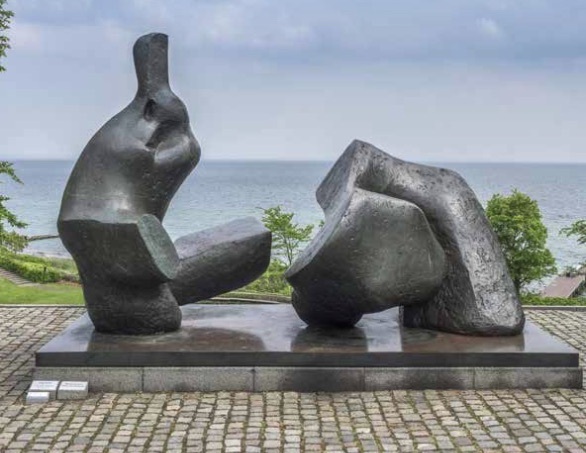 Begin in Copenhagen with a visit to the marvelous collection of modern art at Louisiana Museum, situated at water’s edge with views of Sweden across the sound. After transiting the Kiel Canal, spend the rest of your journey exploring the great museums of Holland and Belgium—the stunning architecture and contemporary art of the Groninger Museum; the Dutch Masters of the Rijksmuseum and the Hague; the incomparable Van Gogh Museum; the Stedelijk Museum; Rubens’ masterpieces in the Antwerp Cathedral; Michelangelo’s Madonna in Bruges. During an overnight in Amsterdam, you will enjoy special access and a reception at the Stedelijk Museum of modern and contemporary art—an event that promises to be the highlight of a journey filled with unforgettable moments. For more information and to register, click here. Art Escapes hosts Sherri Grubbs and Rick Sherman have arranged a fabulous trip to Bentonville and Eureka Springs October 13–16. We will spend three nights at the 21c Bentonville, a boutique hotel which is a short walk to the Crystal Bridges Museum of American Art. Our first night includes a private dinner by the James Beard Foundation Award Semi-Finalist Chef Matthew McClure and a private docent tour of the hotel’s private art collection. For more information click here. The cost of the trip excluding airfare is $995 per person for double occupancy. The price for a single room is $1,370. Space is limited to 20 passengers. The deadline to register is June 1. Questions? Please contact Sherri Grubbs at 614.235.6110.